Jim Miller said he wasn’t going to sit around and wait for a title shot, and so he’ll get back in action this August at UFC on Versus 5 as he takes on former WEC lightweight champion Ben Henderson. Sources close to the fight confirmed the bout to MMAWeekly.com on Tuesday. Asbury Park Press first reported the bout. 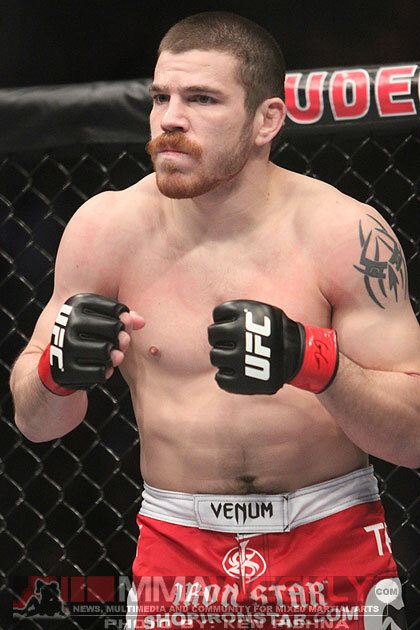 Jim Miller (20-2) has the argument to already be considered the top contender in the lightweight division after stringing together seven wins in a row in the UFC. Miller’s only two losses thus far in the promotion come from the lightweight champion Frankie Edgar early in his career, and a decision loss to top contender Gray Maynard. If Miller wants to maintain his top dog status however he has a serious challenger ready to face him in August in the former of Ben Henderson. Henderson (13-2) was impressive in his UFC debut taking out Brazilian Jiu-Jitsu ace Mark Bocek at UFC 129. The former WEC champion will look to take one step closer to getting into UFC title contention when he faces Miller in August. The UFC on Versus 5 card is set to go down in Milwaukee, Wisc. this August 14 at the Bradley Center.